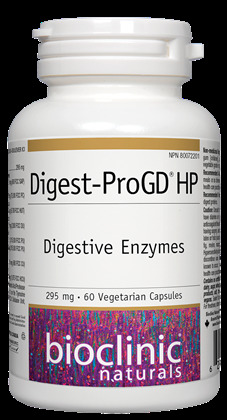 In addition to fungal and bacterial proteases, Digest-ProGD® HP provides alpha-amylase, cellulose, and hemicellulose activity for comprehensive carbohydrate digestion support. Contains no artificial colours, preservatives, or sweeteners; no dairy, sugar, wheat, gluten, yeast, soy, egg, fish, shellfish, animal products, salt, tree nuts, or GMOs. Suitable for vegetarians/vegans.